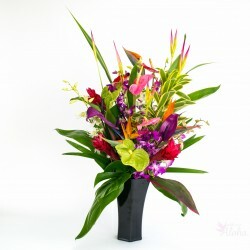 Categories: Hawaiian Weddings, Loose Orchid Blossoms, Most Popular Gifts. 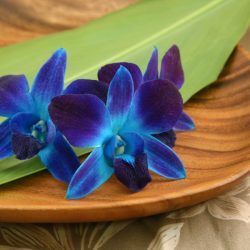 Loose orchid blooms are one of our most popular items. There are so many fun and creative ways to use them! How do I use loose orchid blooms? 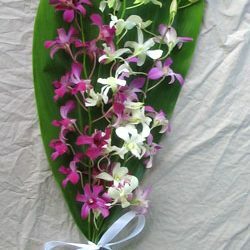 And these loose orchids are fresh and suitable for lei making. Just find a long needle and some toothy thread. 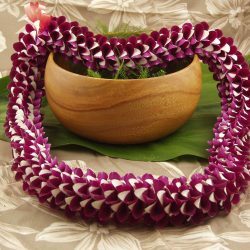 It takes about 50 flowers to make a single lei of 36 to 40 inches. 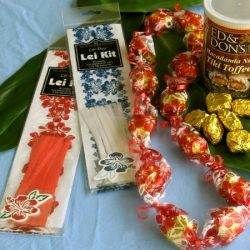 Here’s how to make your own lei. 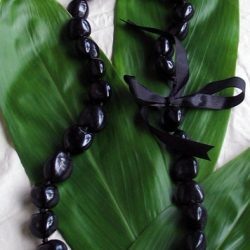 Making a garland is simply making an open lei. Garlands are very popular at Indian weddings. 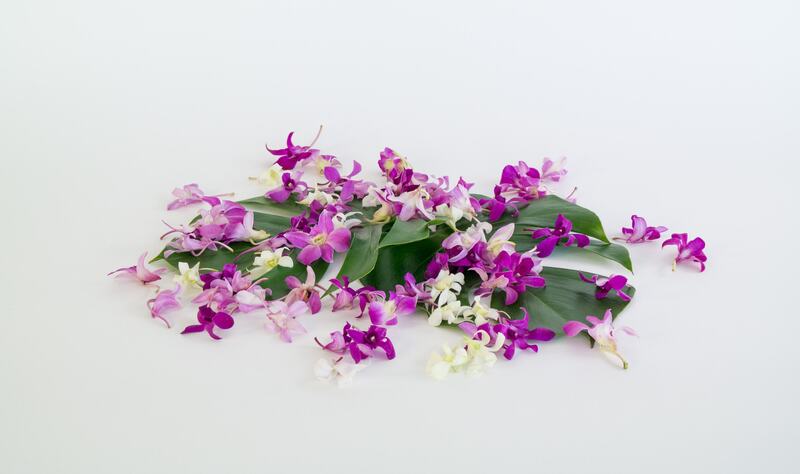 These are the same fresh, locally grown dendrobium blooms we use for our own lei making and corsages. The stems or sprays are used in our flower assortments. Colors include solid white, solid purple and lavender. The lavender or sakura is more of a light blush with white around the edges. We have jade green as well; many of the green have a purple lip. 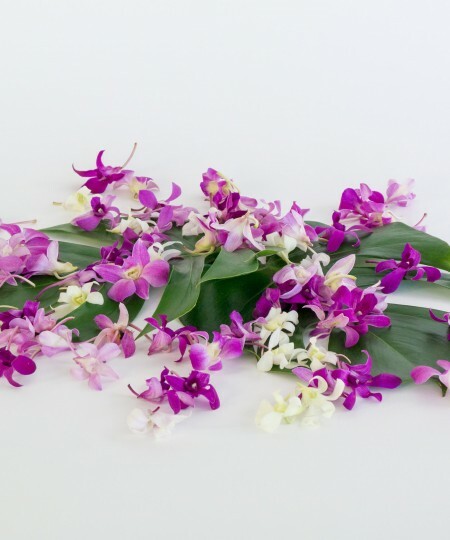 Loose orchid blossoms will add a tropical feel to any occasion. Have them arrive a day or two before your event. Keep them refrigerated in a closed bag until ready to use. For orders of 1000 or more please order well in advance or contact us for availability. If you are a hotel, resort, spa or restaurant we can provide regular deliveries to make sure you never run out. Just let us know how many and how often you need them. Our hotel customers generally get loose orchids twice a week. Hotels like to use our orchid heads for turndown service, placing a blossom on the pillow along with a chocolate. Well help you find the right color to complement your linens. Restaurants use one or two flowers on entree plates. Some use several to adorn a buffet line. And to enhance the spa experience decorate treatment rooms with fresh Hawaiian orchids. The discounted price will automatically be calculated regardless of the color selections. The web site will also calculate the shipping costs prior to checkout. How to care for your loose orchid blooms.